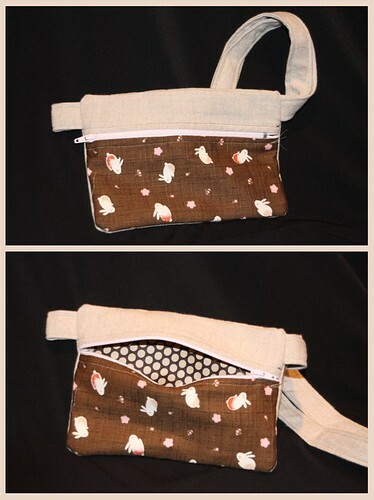 This was the first wristlet I made. There's a host of things I don't like about this, but if you don't look too closely you won't be able to guess what they are! But I learnt a lot from it. And I do so love the fabric combination. (Thanks Charlotte!) I'm guessing the lining must be a soy fabric, because it smelt like chinese food when I ironed it!! !